The "vast, right-wing conspiracy" that Hillary Clinton warned about in the 1990's still exists, she confirmed on Wednesday evening -- but now it's out in the open and it's "even better funded," she said. Clinton was asked about that infamous quote during a televised town hall hosted by CNN in Derry, New Hampshire. "At this point it's probably not correct to say it's a conspiracy because it's out in the open," Clinton said. "There is no doubt about who the players are, what they're trying to achieve... It's real, and we're going to beat it." Clinton first used that line in an interview with NBC's Today Show in 1998 when talking about the political attacks that followed President Bill Clinton's affair with White House intern Monica Lewinsky. "The great story here, for anybody willing to find it and write about it and explain it, is this vast right-wing conspiracy that has been conspiring against my husband since the day he announced for president," she said at the time. On Wednesday night, referencing GOP financiers like the Charles and David Koch, Clinton said the right-wing is now "even better funded." "They've brought in some new multibillionaires," she said. "They want to control our country. They want to rig the economy so they can get richer and richer. 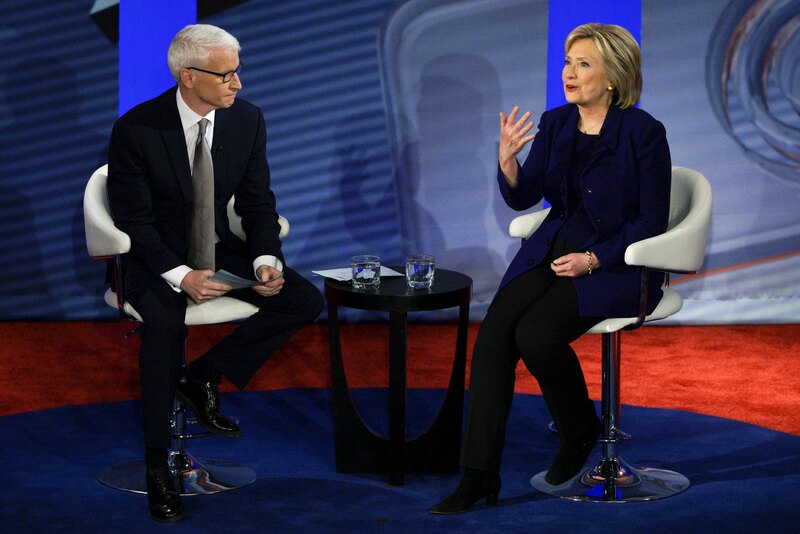 "They salve their consciences by giving money to philanthropy," Clinton continued, "but make no mistake, they want to destroy unions, they want to go after any economic interest they don't believe they can control."